Van Oord, working as part of Team Van Oord, signed the contract for the Bacton to Walcott Coastal Management (Sandscaping) Scheme. The project is awarded by North Norfolk District Council and execution will start in April this year. The project milestones include the decommissioning of existing outfalls and installing a new outfall. To protect important infrastructure from flooding and benefit local communities, sand will be placed on the beach off Bacton Gas Terminal, Bacton village and Walcott village. 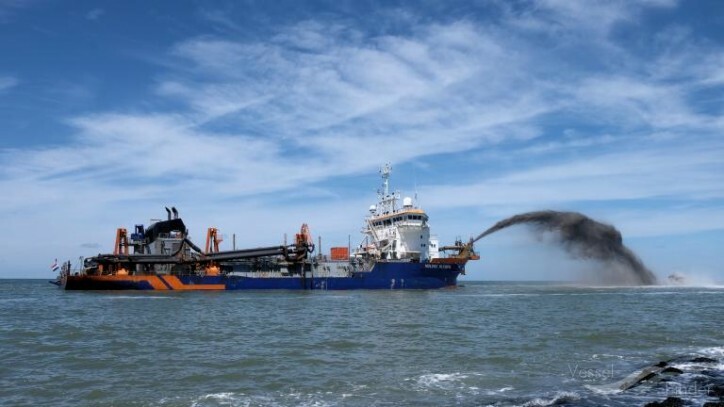 Van Oord will be deploying a large trailing suction hopper dredger and a backhoe dredger. The project will create significantly bigger beaches, improved beach access and increase protection from the sea for the gas terminal and the villages of Bacton and Walcott. As part of the scheme, Van Oord will provide additional value to the villages through a number of initiatives, such as supporting local charities that have a sustainable impact on the community.